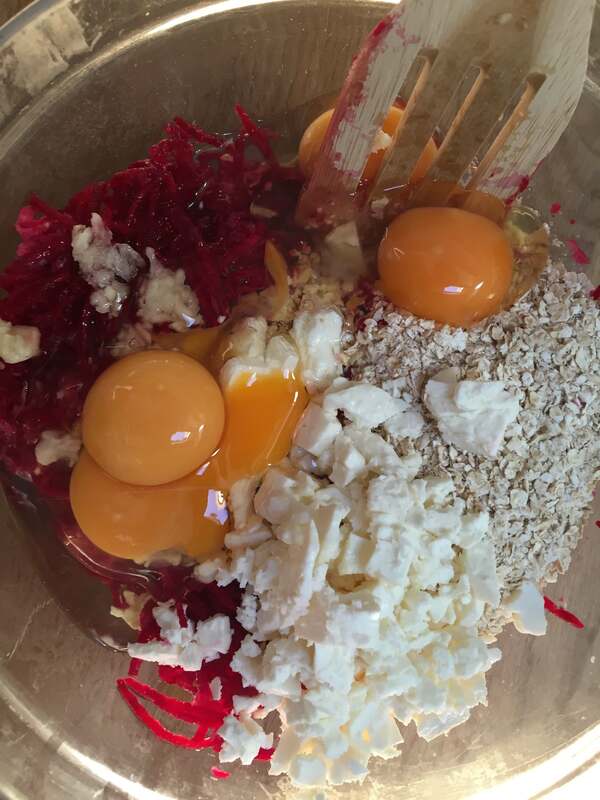 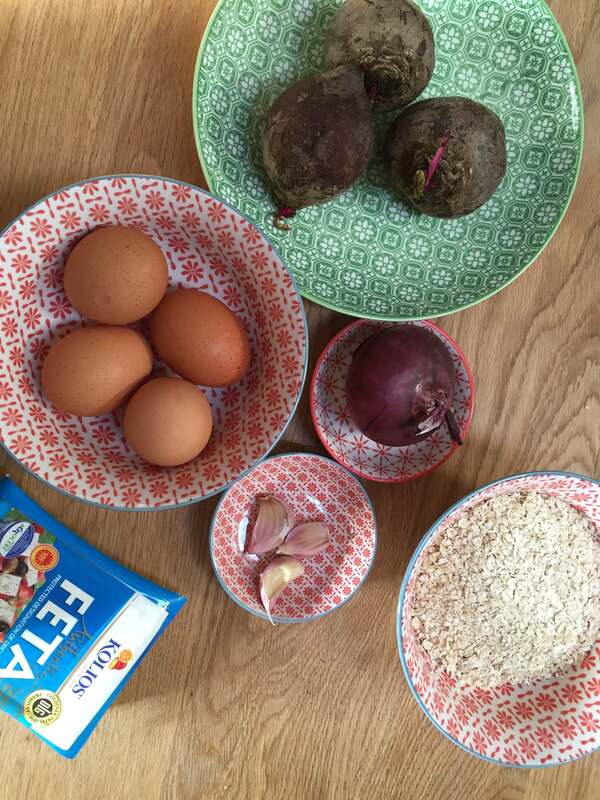 Mix the beetroot´s, garlic, onion, eggs, oats and feta cheese. 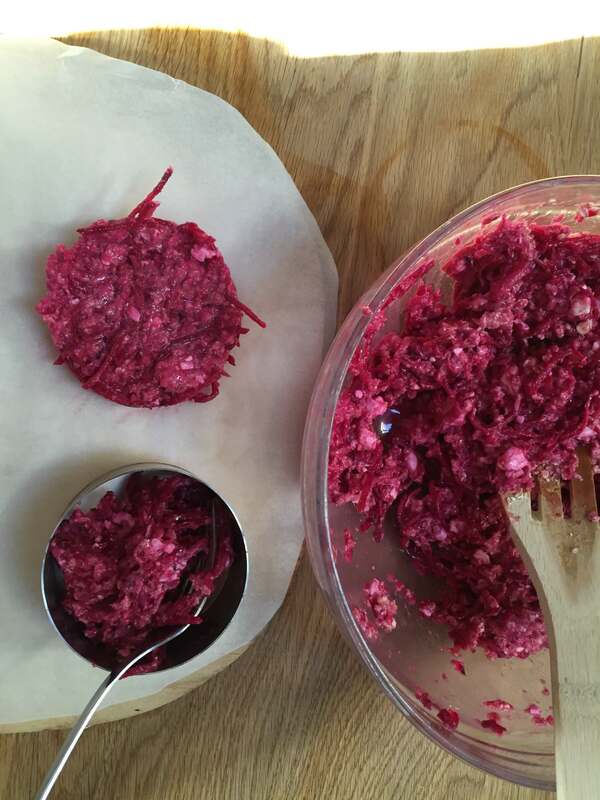 Create 4 burger patties and freeze them for approx 15 minutes. 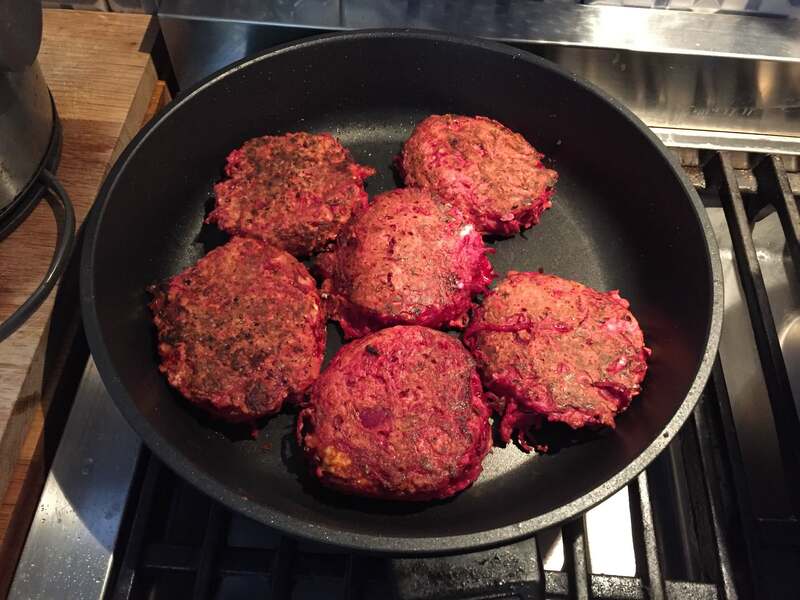 Fry the burgers for approx 20 min until golden brown. 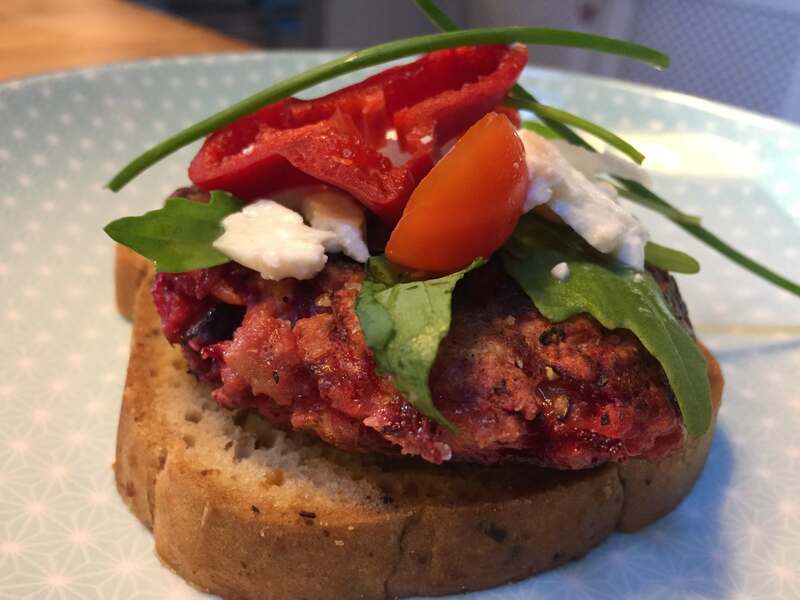 Serve on bread with the arugula, tomato, feta cheese, pepper and salt or as a side dish, enjoy.